Home Travel Deals Magic Monday: Five-star Rome from €236pp in our Top 5 travel deals! Magic Monday: Five-star Rome from €236pp in our Top 5 travel deals! Early January can be a cracking time for hotel deals. Inchydoney Lodge Hotel & Spa has a Nollaig na Mban special on January 6, for example, including B&B, a gin cocktail and afternoon tea from €115pp. Another ‘Soul Serenity’ weekend at Westport’s Knockranny House from January 18-19 includes two nights’ B&B, a spa treatment, and yoga session from €209pp. inchydoneyisland.com; knockrannyhousehotel.ie. 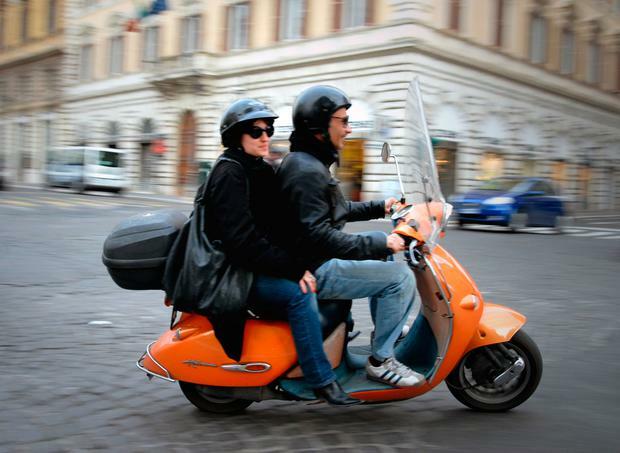 ClickAndGo.com has a three-night city break in the Eternal City departing Monday, February 25, from €236pp. It includes flights and accommodation at the five-star Navona Palace in the heart of the city. 01 902-6708; clickandgo.com. Escape with a ski holiday this Christmas? Navan Travel has a seven-night trip to Austria departing December 22 from €389pp. It includes flights, transfers and seven nights at the 2-star Soll Pensions Hotel on a B&B basis from €389pp (don’t forget that lift passes and ski hire cost extra). 046 906-8600; travalue.ie; itaa.ie/offers. Capitalising on low fares with BA and American Airlines next October, Cassidy Travel has a 14-night trip to Orlando from €559pp, based on a family of four sharing. Accommodation is in the three-star Avanti Resort. 01 626-5100; cassidytravel.ie. Want to try a cruise without committing to a whole week? Sunway has a three night cruise on MSC Bellissima departing March 12. The trip includes three nights on board and two nights in Barcelona, with flights, from €760pp. 01 231-1800; sunway.ie. Have you seen Independent Discounts? The site has a host of special offers and discount codes, with travel brands ranging from Aer Lingus to ClickAndGo.com, Irish Ferries and Expedia.ie. This week, offers include up to €500 off January bookings per couple with TUI. See discountcode.independent.ie/travel-accommodation.